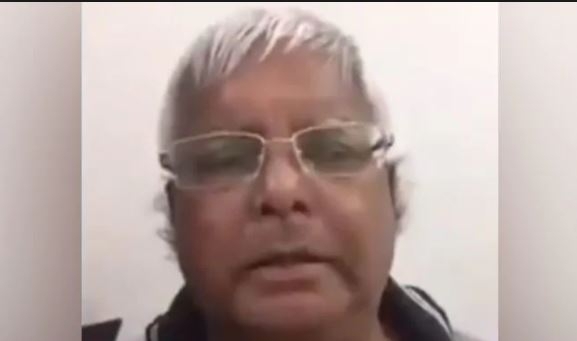 Bihar politician arrested Lalu Prasad Yadav, known for being a critic of Prime Minister Narendra Modi, tried to induce humor into the political campaign by the Lok Sabha elections, sharing his old dubsmash video about Prime Minister Modi's promises. during the 2014 national survey Lalu Yadav made a slogan with the "acche din" of PM Modi in 2014. Dressed in a gray T-shirt, the leader of the RJD can be seen doing a lip sync with the PM Modi "toothache"slogans of a rally speech of 2014 in the 17-second video that was posted on Twitter. "Every Indian will get Rs. 15-20 lakh rupees," PM Modi can be heard saying in the recording as Mr Yadav lip-syncs him. It is not clear where the video was shot. "I am imprisoned, not my thoughts," he said adding that he was sharing his thoughts because only by doing so "we can fight against these divisive forces," he said. Bihar is voting in all the phases of the seven-phased elections.